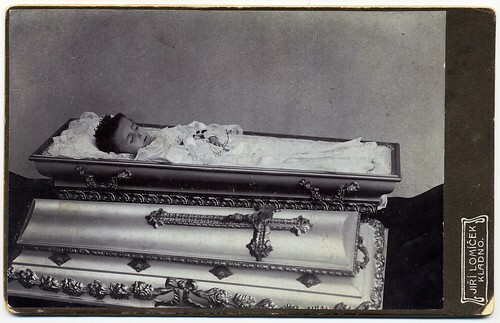 To read more about the art of mourning portraits or postmortem photography click on the informational pages and links. 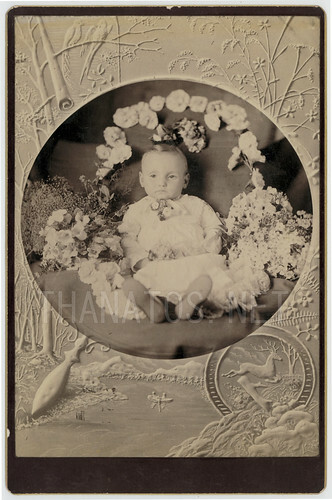 To see more details of the photos click to enlarge. 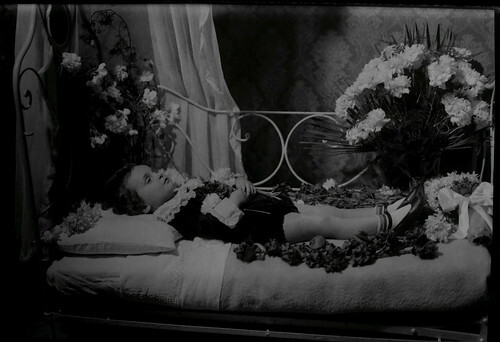 La morte lo colse nel fiore della giovinezza, originally uploaded by Latente 囧 www.latente.it. Jiřinka (Little Georgina), originally uploaded by josefnovak33. 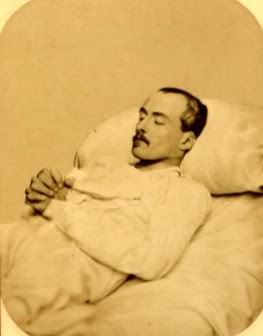 Requiescat in Pace, originally uploaded by josefnovak33. 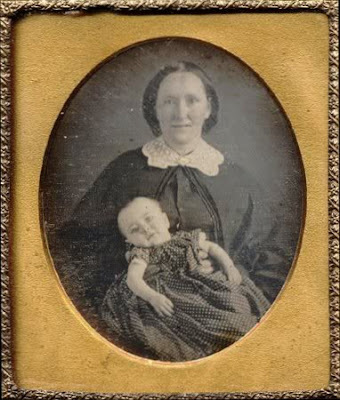 Dead Baby With Sister? Mother? 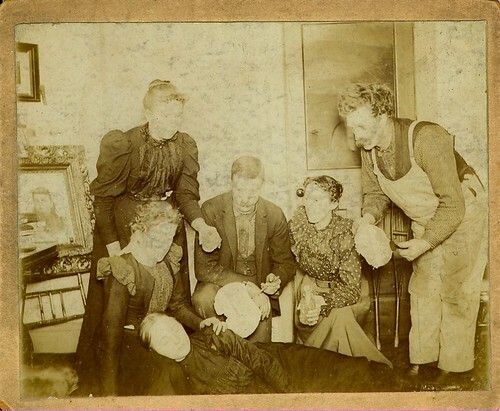 KindMitPuppe, originally uploaded by Minna1903. 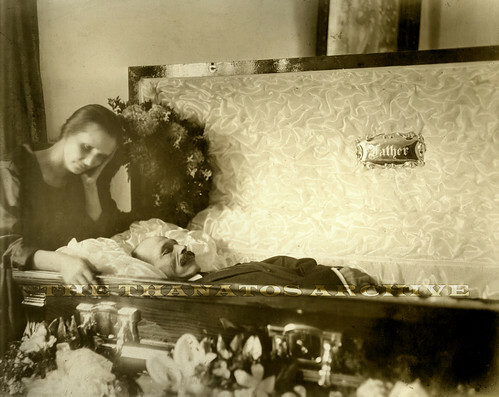 A Sad Photograph For All Soul´s Day, originally uploaded by josefnovak33. 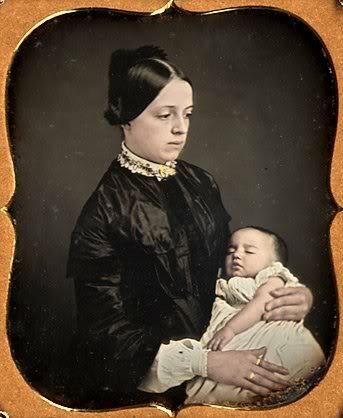 Flickr member posted this with the photo: Photographer Jiří Lomíček in Kladno (Bohemia, Czechia). 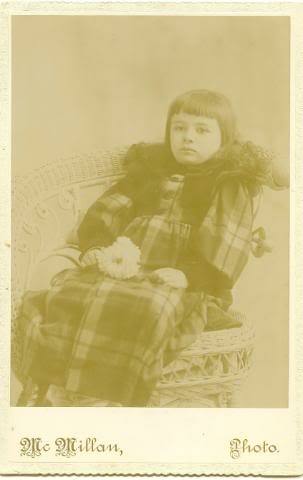 Cabinet card circa 1910. 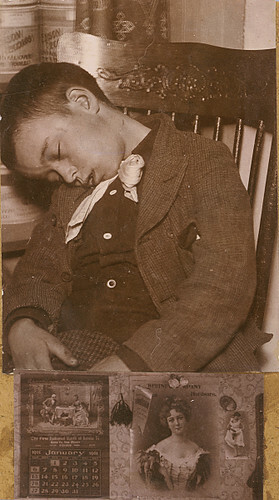 Sleeping, originally uploaded by josefnovak33. 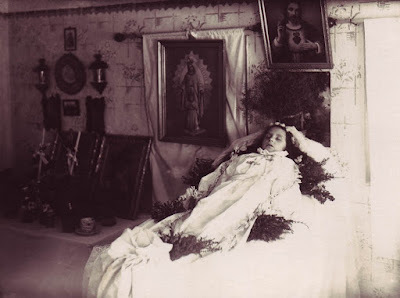 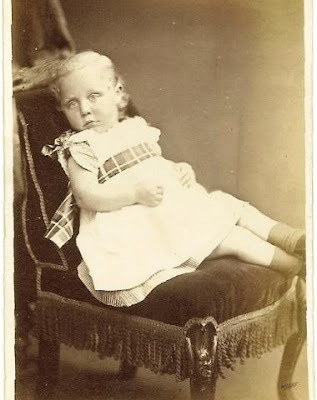 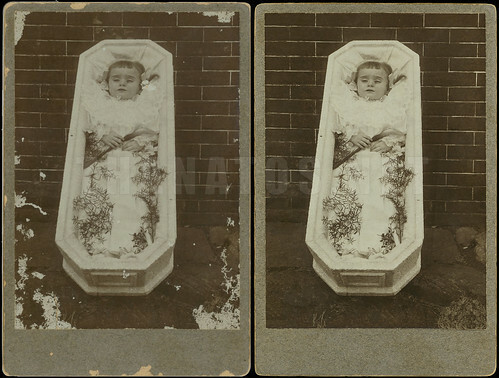 Post Mortem of Child circa 1890, originally uploaded by kingkongphoto123. 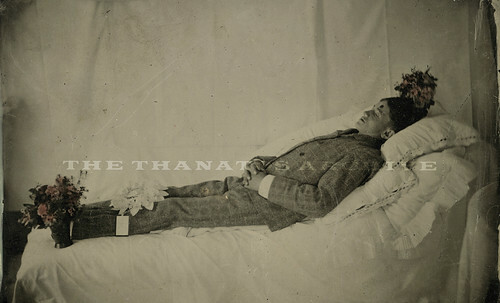 post mortem 1873, originally uploaded by gijsha. 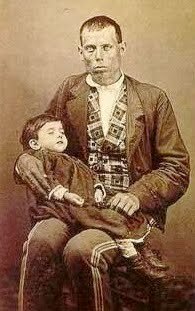 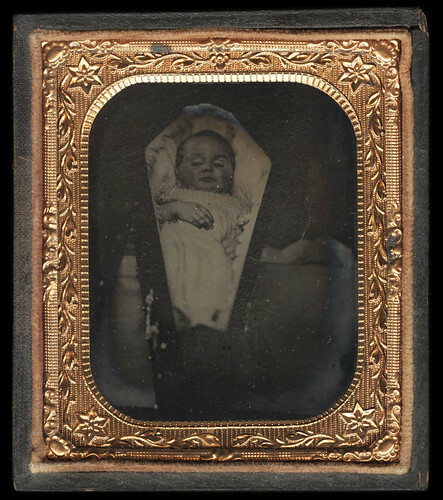 This boy named Herre died in 1873 at the age of two years and a half. 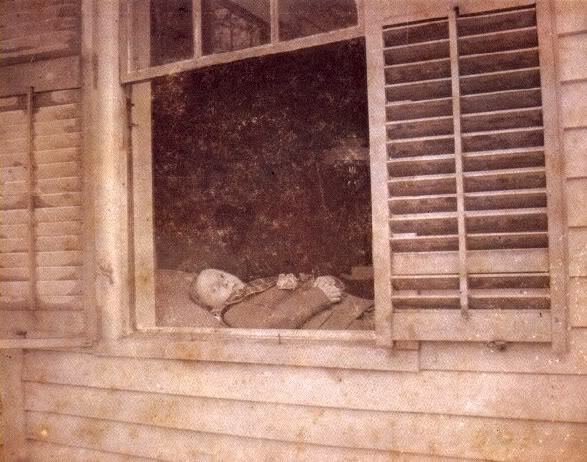 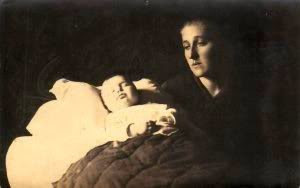 The photo was found in his father's diary, which mentions the following: "We had one portrait made in his bed after he died by Ephraim. 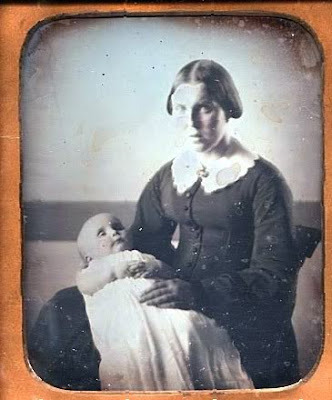 Later he put the head on a portrait of his child, wearing Herre's clothes, which became quite good". 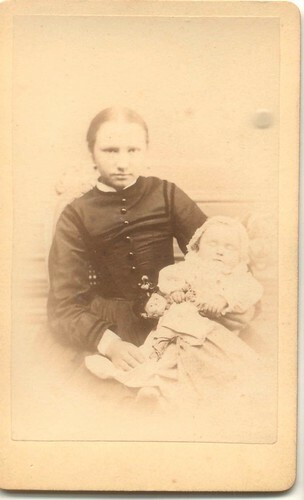 A very unusual example of early photoshopping avant la lettre! 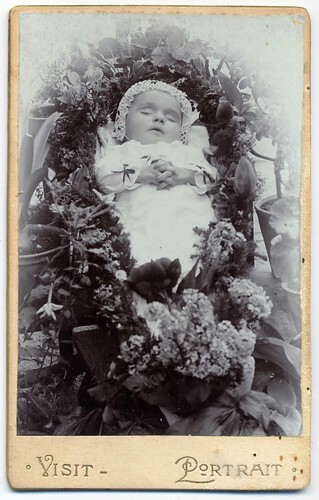 Card Mounted Photo - Most Likely Post Mortem, originally uploaded by openmemories. 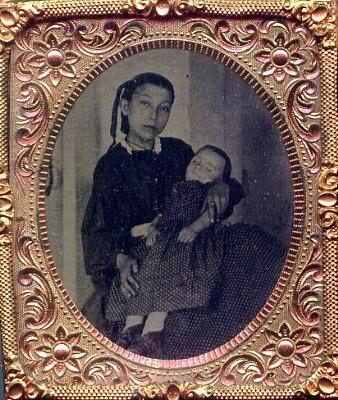 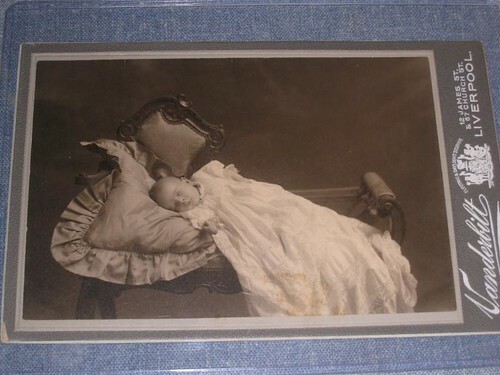 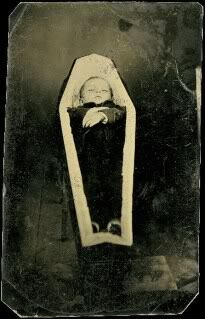 Post Mortem Tintype Photo of Baby in Coffin, originally uploaded by Ballyhooligan. 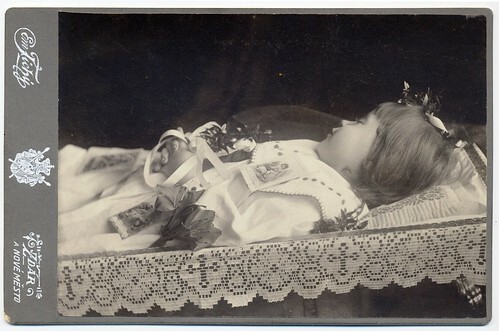 POSTMORTEM PRETTY YOUNG MOM MARGATE, originally uploaded by photoidhelp. 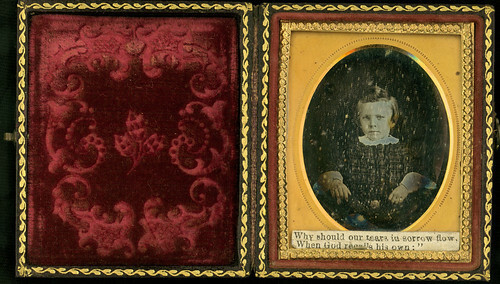 early cased tintype, originally uploaded by Vernacula. 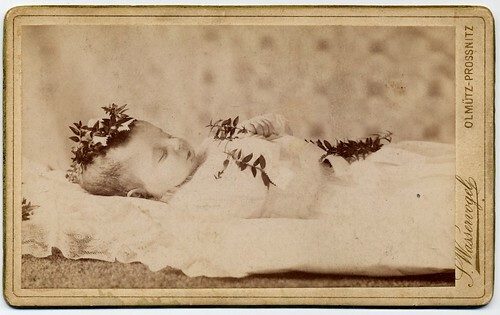 Baby in coffin.jpg, originally uploaded by akrausha. 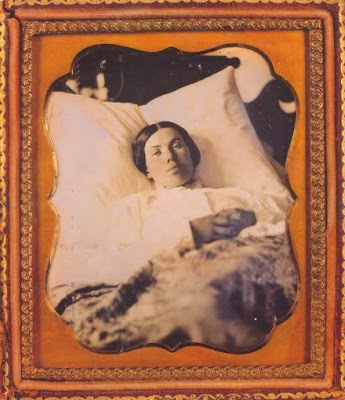 Post Mortem Tintype 1/2, originally uploaded by jack_mord. 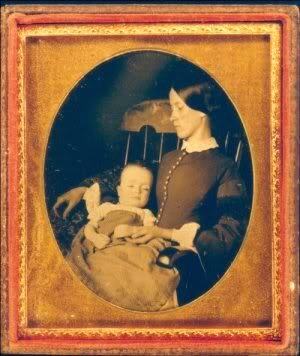 Father, originally uploaded by jack_mord. 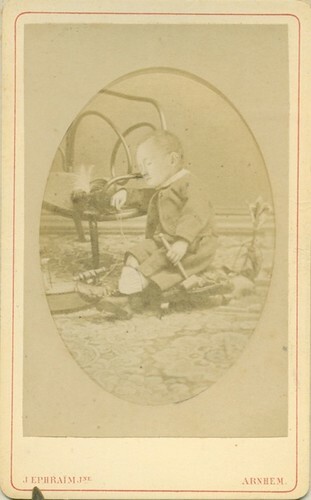 Blue Boy , originally uploaded by jack_mord. 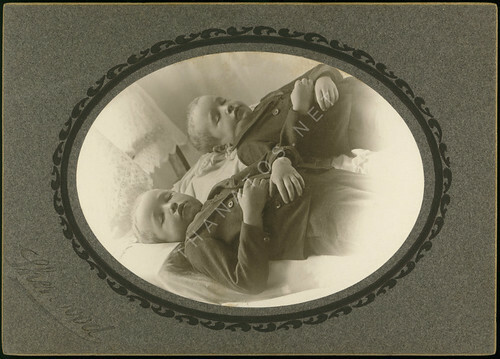 El Paso Twins; Post Mortem, originally uploaded by jack_mord. 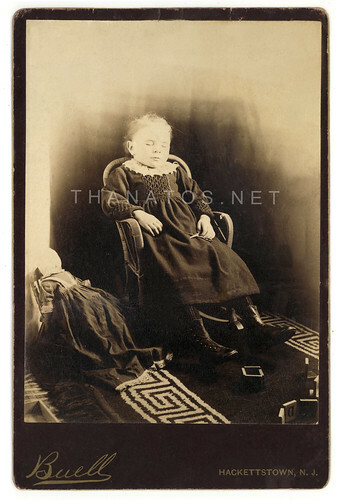 inchairwm, originally uploaded by jack_mord. 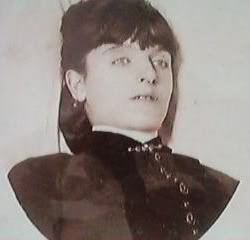 Maria Halloran, originally uploaded by jack_mord. 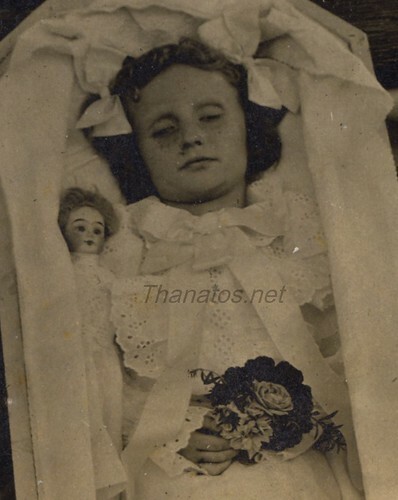 Dead Girl with Scissors, originally uploaded by jack_mord. 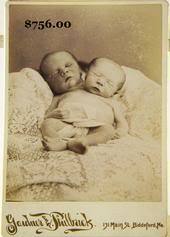 Twin Boys, originally uploaded by jack_mord. 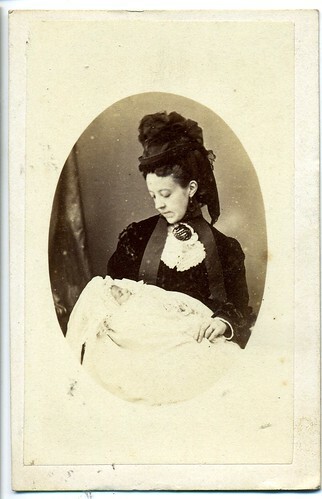 Carrie Michelle Culver, originally uploaded by jack_mord. 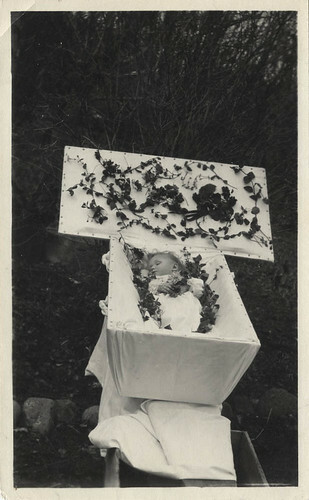 Memorial with Symbolism, originally uploaded by jack_mord. 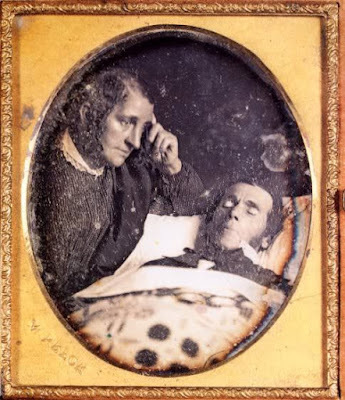 Closer, originally uploaded by jack_mord. 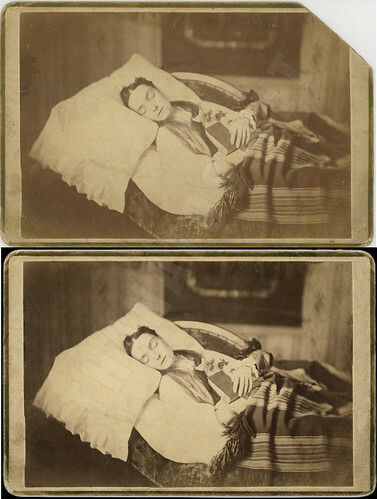 Restoration: Double Postmortem, originally uploaded by jack_mord. 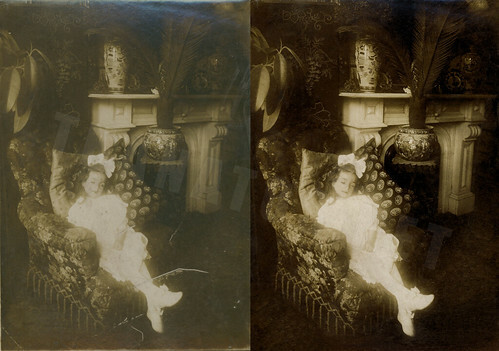 Restoration: Lydia Butler, originally uploaded by jack_mord. 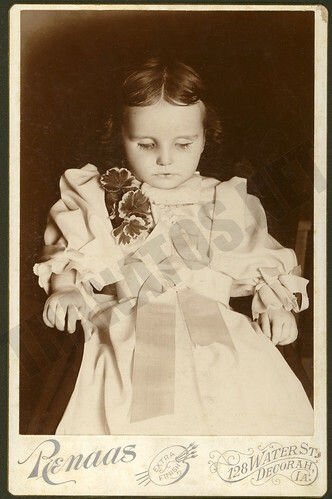 Restoration: Ella Bower, originally uploaded by jack_mord. 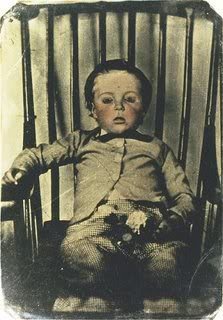 Dead Boy in Chair, originally uploaded by jack_mord. 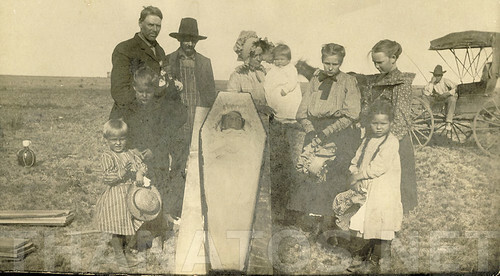 Prairie Funeral, originally uploaded by jack_mord. 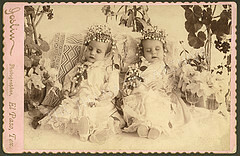 Matching Dresses, originally uploaded by jack_mord. 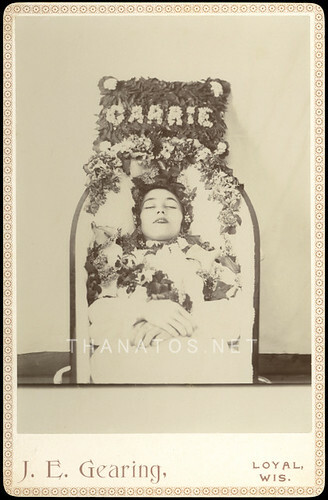 Mourning with Hope, originally uploaded by jack_mord. 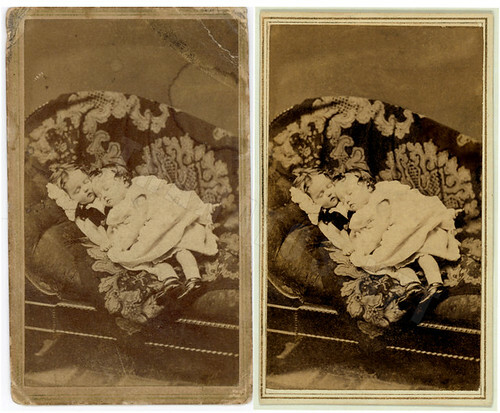 Restoration: Favorite Chair, originally uploaded by jack_mord.